Earn up to 23,992 reward points. Brilliant craftsmanship and performance in a 1-piece body! 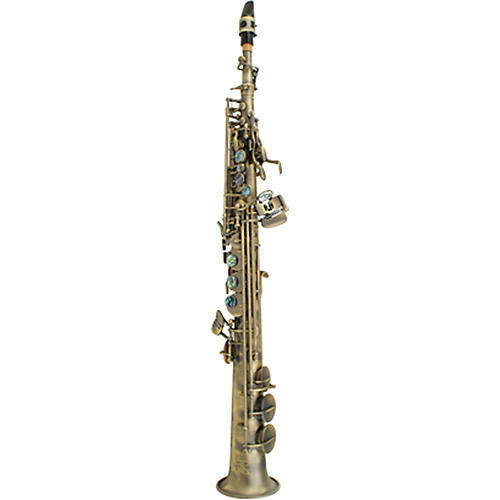 The P. Mauriat System 76 Soprano Saxophone is crafted with a one-piece body that produces a tone with a warm centered core. A large bore and bell offer plenty of projection. This beautifully engraved instrument is available in vintage dark lacquer and also in classic gold lacquer. Each lacquer lends a different color to the sound. The vintage dark lacquer has warmer subtleties compared to the slightly more brilliant gold lacquer. Both, however, allow the player to deliver the highest performance possible due to the System 76's superior craftsmanship. 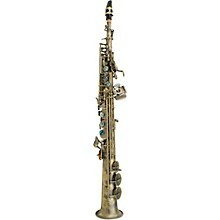 Both also come with two necks: curved and straight, to meet the needs any of player.